This feature was kindly sponsored by an anonymous pharma company. 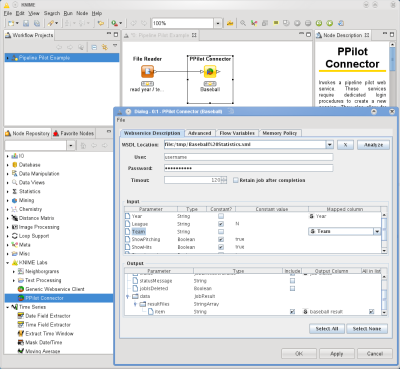 This feature provides a Pipeline Pilot connector using Pipeline Pilot's SOAP interface. 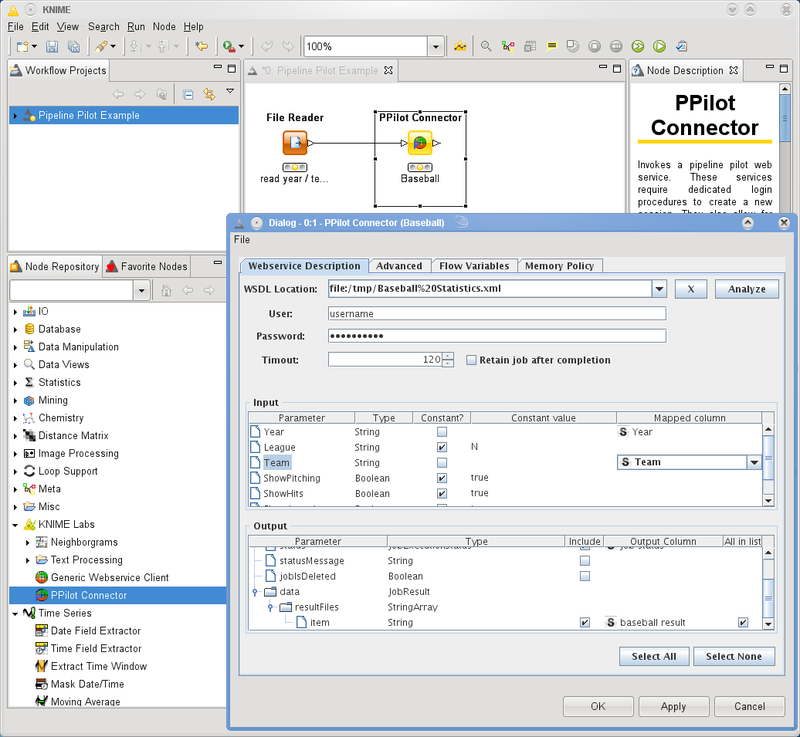 It uses Apache CXF as an underlying library to parse the web service description, create requests and read responses. For installation instructions see this page. A small workflow, using a Pipeline Pilot example service retrieving baseball statistics.